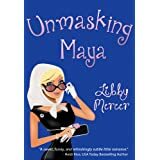 Guest Post by Author Libby Mercer + Unmasking Maya giveaway! Use the Rafflecopter and tell us something geeky or dorky about yourself to be entered to win a kindle copy of Unmasking Maya. 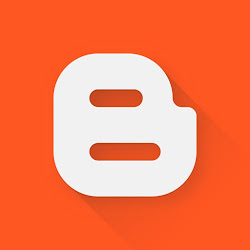 I loved it so much I’m giving away! Thanks so much for having me here today, Kat! Derek Whitley, the love interest in my newly released novel, Unmasking Maya, is a dork. He’s a hottie, of course, but as the owner of a tech company, he’s definitely got some seriously geeky qualities. For this post, I thought I’d share with you some of the geekiest things about me. Mama’s Family has got to be my all-time favorite comedy show. But what’s even dorkier than that? When Mama, otherwise known as Vicki Lawrence, passed through St. Louis on a book tour, my sister and I dressed up as Mama and Iola when we went to her book signing. I wear black shoes with white socks entirely too often. What can I say? I have a lot of white socks, so when my laundry starts piling up, they’re my only option. The good news is that because I usually wear long-legged jeans, more often than not, the world is unaware of my fashion faux pas. I sometimes take LSAT (Law School Admission Test) prep tests just for fun – but only the analytical reasoning bits. I’ve included a sample question in this post to show you what they’re like. And in case you’re wondering, I took the actual LSAT a few years ago but ended up not applying to schools. When it comes to online dating, any guy who sends me a message with spelling errors or glaring punctuation or grammatical mistakes will get an automatic rejection. Here’s hoping this little quirk of mine hasn’t turned away my soul mate! Growing up, my siblings and I were such huge fans of the movie, Hairspray, that we not only learned all the dances, we also recreated a bunch of our favorite scenes with the neighborhood kids. And we filmed it on our camcorder, so it haunts us to this very day. Among the inventory at a certain vintage furniture store are seven lamps. Each lamp has either a ceramic or wood base, and each lamp comes with either a brown, red, or green shade. ▪ More lamps have a ceramic base than a wood base. ▪ Every red lamp shade is paired with a ceramic base. ▪ No lamp with a wood base has a brown shade. Which statement about the seven lamps CANNOT be true? Five lamps have red shades. Five lamps have a ceramic base. Five lamps have brown shades. Four lamps have a wood base. Four lamps have green shades. Scroll down past my book blurb for the answer. Born and raised in the Heartland of America, Libby Mercer’s adventurous spirit kicked in after graduating from high school and she’s since lived in Boston, NYC and London. San Francisco is the city that she currently calls home. For several years, Libby worked in fashion — first as a journalist and then as a shopkeeper, and for a while she dabbled in design. 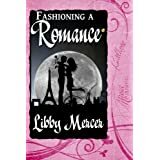 Fashioning a Romance was Libby’s first published novel and Unmasking Maya is her second. Her third novel, The Karmic Connection, is scheduled for release in 2013. The correct answer to the LSAT sample question is D.
Thanks so much for reading my post. If you feel so inclined, I would love to know what your geeky things are. We all have them, no? You can get more entries by following Libby and me on twitter and facebook and by following The Book Tart with Networked Blogs or Feedburner email but those are just extra. I love that you acted out scenes from Hairspray. My friends and I acted out scenes from Grease! And my sister and BFF played the parts in television shows like The Facts of Life. I’m a geek too! Lol I am loving the dork celebration! My sisters and I used to act out Oklahoma in the living room with the soundtrack on so we could sing to it! Oh my gosh, I’m such a dork there’s no one single dorky thing that stands out. I loved that question – I thought it was pretty easy actually. I’ve never taken LSAT tests for fun, but I do love those kind of logic questions. I used to have a book of them. Is that dorky enough? I also love to watch Jeopardy and I seriously consider posting on Facebook on the (admittedly, rare) occasions when I know the final Jeopardy answer and the contestants don’t! Having a book of logic questions is definitely dorky enough and the love of Jeopardy pretty much cements you as a true dork. 😉 But you’re in good company. Thanks for posting, Jackie! Fabulous! I’m a fan of the Disney Channel too, and I love that you were in the marching band and choir. Thanks for posting, Tobi! Oh my God, I am laughing so hard. That Mama’s Family book signing is hilarious! I am such a dork and it’s hard to choose just one reason why. But, definitely chasing down Kiefer Sutherland after spotting him at a hot dog stand after a night out clubbing and then saying NOTHING when I got to him was pretty dorky. And pitiful. Fantastic post, Libby! Can’t wait to read the book! Thanks, J.A.! I’m still beaming over that vlog review!! Next PostNext The Book Tart Episode 27 Not So Random Reading from My Shifter Showmance + a song!